For over 100 years, the Novato Chamber has weighed in on local and regional politics to ensure that the region's businesses and economic interests are represented. We make public stances on regional measures, candidates, and regulations. Along with news stories about our legislative advocacy and elections/endorsements, you can also find our endorsement process--demonstrating our aims to create a transparent organization. The GAC is currently in the process of interviewing candidates. The Government Affairs Committee invites ALL candidates to a candidates' forum hosted by the Novato Chamber. The Government Affairs Committee makes recommendations to the Novato Chamber Board of Directors where the Board votes to 1) support 2) oppose or 3) take no action. Questions about the endorsement process? Contact the Novato CEO, Coy Smith. The Novato Chamber OPPOSES AB 3087 as amended April 9, 2018, that interferes with an employer's ability to negotiate for benefit designs and costs for their employees, interferes with Covered California's ability to negotiate with insurers, reduces access to care, adds an additional layer of bureaucracy, and adds a new health care cost called "witness fees". For the Marin County's 5th District Supervisorial Election, invitations were extended to both Candidate Shroyer and Arnold. Candidate Arnold accepted the invitation to both the GAC interview & the Novato Chamber Candidates' Forum. Candidate Shroyer declined both the interview and the Candidates' Forum. 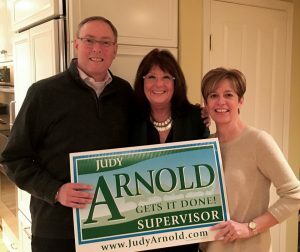 Supervisor Arnold has always been a strong supporter of local economic growth...dedicated to investing in local infrastructure improvements...and been a proponent of strong workforce development programs. 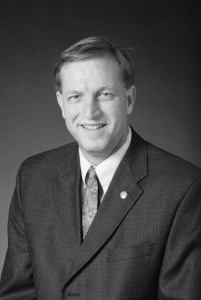 North Bay Chamber's Convine to set legislative priorities for North Bay. In April, Novato Chamber leaders participated in the North Bay Chambers Legislative Summit. The summit, a meeting comprised of chambers throughout the north bay, aims to create a list of legislative priorities for the region. The summit was convened with the aim to establish THREE topics. Near the end of the summit, a FOURTH topic was added to complete the list. While no official vote or endorsement of the list has been made by the Board, the Novato Chamber wanted to share the results. Tha aim of this list is to help guide the region in their legislative priorities when working with local, regional and state officials. The Novato Chamber's Government Affairs Committee meets with local leaders, community members, and interests groups in order to remain informed about what is happening in our community, the region and beyond. Investigate the latest happenings with Chamber members. Keep up and follow local businesses, organizations with the Novato Chamber's Press Room, submit your own press releases and join the discussion! In the case of candidates, and some projects, public forums are held. E-Mail him by clicking on his photo!